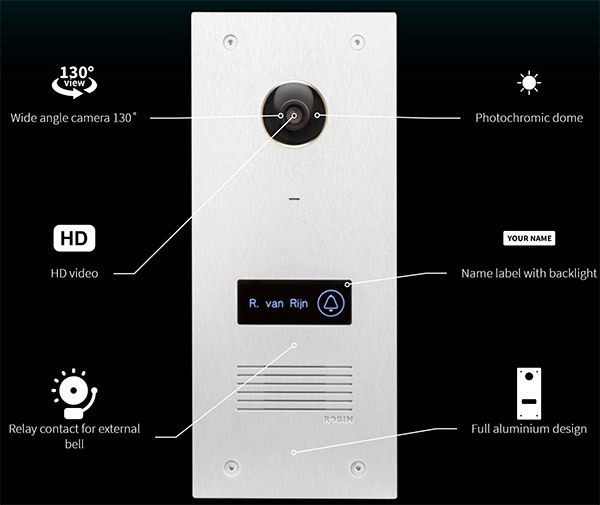 Netherlands-based Robin Telecom has introduced what it claims to be the first Apple HomeKit-compatible video doorbell system. Approved by Apple, the system offers immediate viewing of who is at the door as well as two-way audio for voice-based interactions. Amazon-owned Ring has really been the front-runner as far as this type of system is concerned in recent years but that system comes with its own limitations. Notably, for Apple fans and those who love the ease and single access of HomeKit-enabled systems, Ring simply doesn’t appeal as it doesn’t fit into that ecosystem. 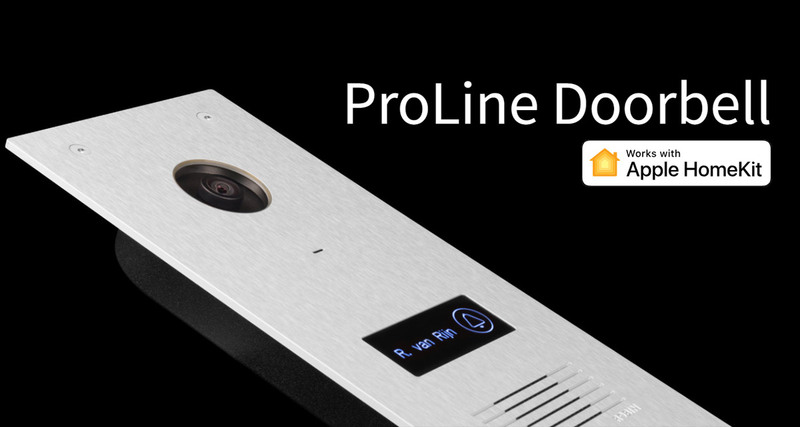 However, with Robin’s ProLine Doorbell, that problem simply disappears with the live feed from the camera as well as audio available directly from Apple’s Home app on iPhone, iPad, and Mac. The system itself is all built inside of an aluminum design that definitely makes it look classy and stylish. It offers a wide angle camera with a 130-degree field-of-vision to ensure that it captures as much of the environment as possible. There is a photochromic dome around the camera lens which offers full HD video for superb clarity. The hardware even comes with a certain level of personalization allowing the owner to add their own name to the front of the panel on a small display backed up by a light. This immediately lets any visitor know that they have the correct property. Robin Telecom is making a fairly big deal of the HomeKit support of the ProLine Doorbell by showing screenshots of the Apple Home app on its official website and not really paying much importance to the fact that this doesn’t actually need Apple devices or HomeKit to work. However, in a market that’s crying out for a video doorbell of this nature that is HomeKit-compatible, this could be the perfect marketing tactic. If you are interested in this hardware, Robin has a dedicated web form available that will let you register your interest and get updates on when the hardware will arrive.